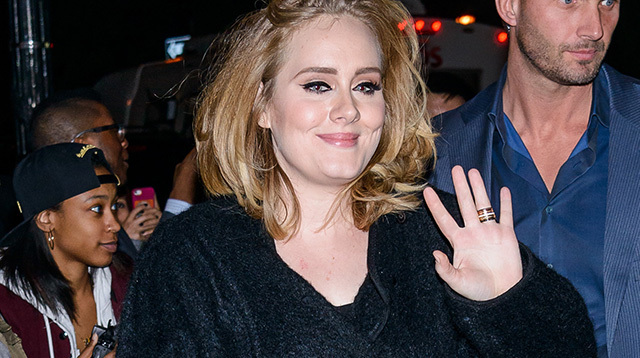 British pop singer Adele had to rush out of the Oscars ceremony in 2013 to avoid a breast milk disaster! Adele's attendance at the Oscars was one of her first public appearances after giving birth to her son Angelo, however, she had to make several runs to the bathroom during the ceremony to avoid ruining her dress! "[I was] running to the toilet, between awards, to pump-and-dump [breast milk]. Which loads of people were doing, by the way," she explains to Britain's Observer Music magazine. The singer reveals she found herself surrounded by Hollywood stars who were all pumping breast milk or feeding their babies in the bathroom. "All these Hollywood superstars, lined up and breastfeeding in the ladies," she adds. "No, I can't say who. Because I saw their t**s."
Adele went on to win the Oscar for her track “Skyfall,” which landed her a clutch of other awards including a Grammy, Golden Globe, and a BRIT.